RIM's chief technology officer David Yach has ruled out the possibility of a hack being responsible for the outage affecting BlackBerry users across the globe. The crisis, which is now in its third day, is affecting BlackBerry Messenger usage and other internet services for RIM users and has now spread to the US and Canada. As TechRadar reported earlier on Wednesday, the problem is thought to have been caused by "a core switch failure within RIM's infrastructure." However, during a conference call on Wednesday evening the company moved to assure the media and investors that the outage is not down to an attack on its systems. Yach said: "I know there is often speculation in these situations of a potential breach or hack, but we've seen no evidence that this is the case." The CTO added that the BlackBerry teams are working around the clock to restore access to BBM and the other internet services affected by the outage. He said that although the company thinks it has identified the root cause of the problems, deeper analysis will be taking place over the next few days. RIM has tentatively assured its users that the problems will be resolved 'by the weekend' but at the moment can make no assurances. 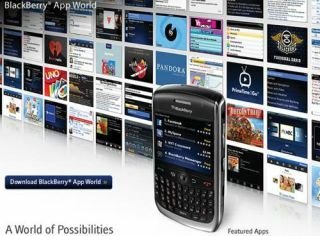 The outage could not have come at a worse time time for RIM, with Apple launching iOS 5 complete with the iMessage app many are predicting could supersede BBM.